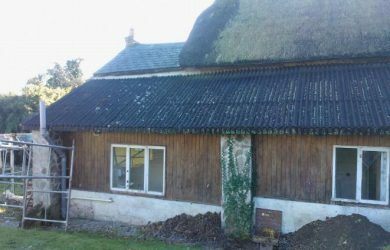 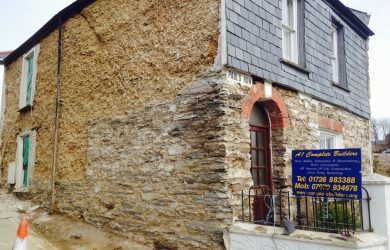 At some stage in its glorious life a builder has applied sand and cement render to the façade and as we now know this material is not compatible and does not adhere to the substrate, in time blowing, cracking and falling off. 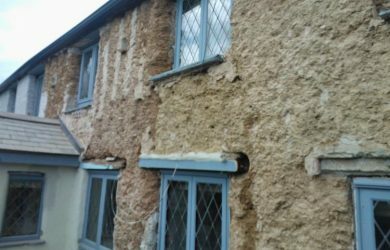 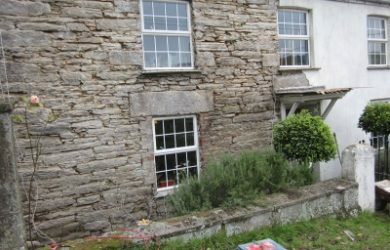 We have been instructed by our clients to remove the old render and replace with lime render, St Astiers N.H.L 2. 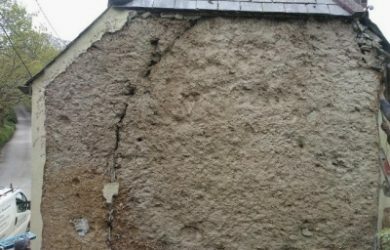 Duration of time on site, four weeks.